Lawyering runs in William “Goose” Changose’s family. His grandfather was an attorney, and his father went to law school. Changose liked law too, but law school would have to wait a few years. “After high school, I wanted to fly planes,” he said. In 1983 he graduated from the Air Force Academy, was commissioned as an officer, and then went to pilot training. For the next 23 years, he moved 16 times to bases across the U.S. and overseas. He spent lots of time in Little Rock, Japan, and the Philippines as well as Saudi Arabia and Iraq. He retired in 2006 as a colonel and commander of Hickam Air Force Base in Honolulu, Hawaii. 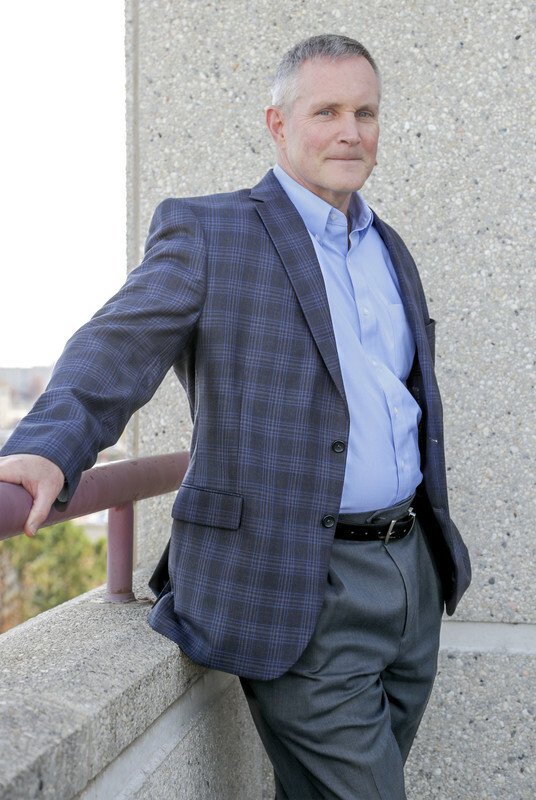 Along the way, he earned a Bachelor of Science in economics from the U.S. Air Force Academy, an MBA from Golden Gate University, and a Master of Science in strategic planning from the Air War College. While law school still intrigued him, it was never the right time or place. He told her “Yes,” and knew it was time to retire from the military. The New York native was fortunate to get a job at Alltel Wireless and moved his family to Little Rock, where he discovered the William H. Bowen School of Law. Bowen has the state’s only part-time Juris Doctor program, which allows students to attend evening classes Monday through Thursday. 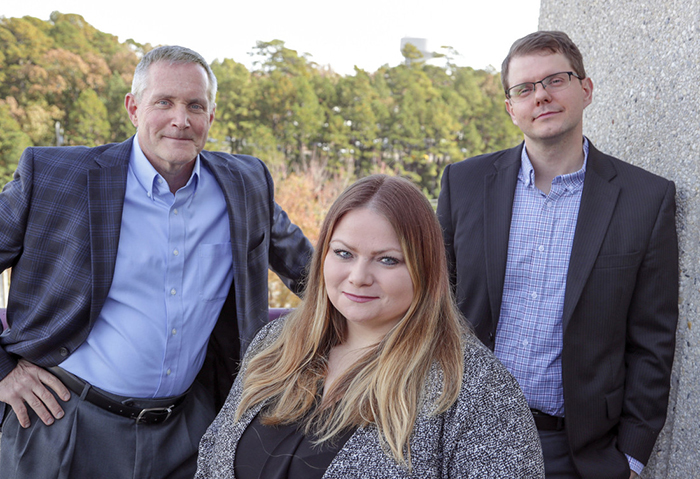 William “Goose” Changose, Jennifer Glover, and Jarred Kibbey were classmates in William H. Bowen School of Law’s part-time program, and now they work together at Natural State Law in Little Rock. Changose enrolled in fall 2011, attending classes at night and working during the day as chief executive officer of Westrock Coffee Roasting. Changose completed his law degree in 2015. After law school, he continued working at Westrock, and fellow Bowen grad Jarred Kibbey was there too. That was the start of Natural State Law, PLLC., which opened on May 1, 2018, with offices at 900 S. Shackleford Road in Little Rock. Changose and Kibbey were friends with Jennifer Glover, another Bowen classmate. She was already working at another law firm, but they convinced her to join them. As non-traditional students, each of the three attorneys had significant professional experience in diverse areas and have developed expertise in diverse areas of law. Changose focuses his practice on business law, veterans’ benefits, real estate zoning, aviation, and firearms law. 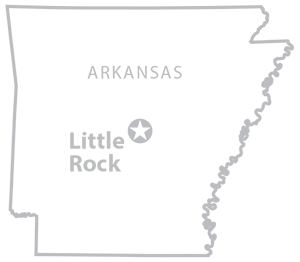 Kibbey’s practice areas also include business law, veterans’ benefits, and firearms law as well as insurance, employment law, and HIPAA-related issues. Before law school, Kibbey had served as the senior policy advisor to the Arkansas Department of Health and as senior healthcare advisor to Gov. Asa Hutchinson. He has a Bachelor of Science in political science from UCA, a certificate in bioethics and health policy from Loyola University Chicago, and a Master of Public Health from the University of Arkansas for Medical Sciences. Glover had worked eight years as a paralegal for a family law firm before law school. She also had been a caseworker for the Division of Children and Family Services, where she experienced firsthand the value of competent legal representation for children and families. Her practice areas include family law, probate, adoption, guardianship, estate planning, and small business-related issues. She earned a Bachelor of Arts in criminal justice from UA Little Rock before attending Bowen School of Law. All three attorneys are members of the Arkansas Bar Association and the Pulaski County Bar Association. The team is already putting into practice one of Bowen’s core values of creating access to justice. Most of the state’s lawyers work in Pulaski County and in Washington County in northwest Arkansas while rural state residents often lack convenient access to a lawyer. Kibbey applied for and was accepted into Bowen’s Rural Practice Incubator Project, which provides support to Bowen alumni who start law practices in rural, underserved Arkansas communities. Kibbey had grown up in Glenwood, a small town of about 2,500 residents south of Hot Springs. Natural State Law now has an office in Glenwood, and the three attorneys take turns staffing the office two days a week. For Changose, the timing was perfect for the new venture. Top photo right: William “Goose” Changose found a second career as an attorney after his 23-year military career.